Brightidea is the market leader in Cloud-Based Enterprise Innovation Management. Our software is has driven more innovation success than any other solution provider through a flexible, scalable 'Facebook'-style platform that allows businesses to manage the social process of innovation from ideas to cash. Over 300 businesses around the world use our software to transform their employee, partner and customer ideas into a reality including: Adobe, Hewlett-Packard, Cisco, GE, Harley-Davidson, AMEX, Emerson, British Telecom, Bristol-Myers Squibb, Honeywell, among others. 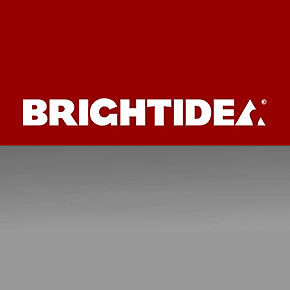 The Brightidea Innovation Suite is the only true end-to-end system-of-record for any kind of innovation initiative. A seamlessly combined solution that includes WebStorm, Switchboard, and Pipeline, the Innovation Suite is designed to maximize collective knowledge, drive idea execution, and deliver measurable business results. Why Brainstorm When You Can WebStorm? With the click of a button, WebStorm lets you create secure Online Innovation Communities and harness the power of your employees’ and customers’ collective intelligence. Transform the way you innovate with an unprecedented number of features that let users submit & collaborate on ideas. Leverage the wisdom-of-the-crowd with this flexible, intuitive and engaging tool. Easily manage any number of ideas and merge ideas into proposals with Switchboard. Create collaboration rooms where teams can privately share information to further enhance proposals. Evaluate proposals with multi-round scorecarding to make smart business decisions faster. Turn the most promising proposals into projects with Pipeline. This “right-weight” tool enables innovation teams to progress projects effectively through stage-gate and ad hoc milestone workflows. Pipeline makes tracking projects and providing real-time visibility into the financial value of your innovation pipeline simple. With Facebook-style project fan-pages, innovation project management now becomes a powerful collaborative business process.